Hello there, today I have the pleasure of participating in Tracey's 25 Days of Christmas Tags event. 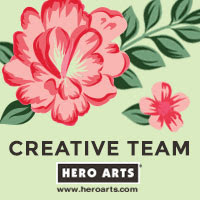 Today is sponsored by Clearly Besotted and the team have to together to share some tags with you. For my tag, I started off by cutting two of the Clearly Besotted Rounded Tag die from white cardstock. 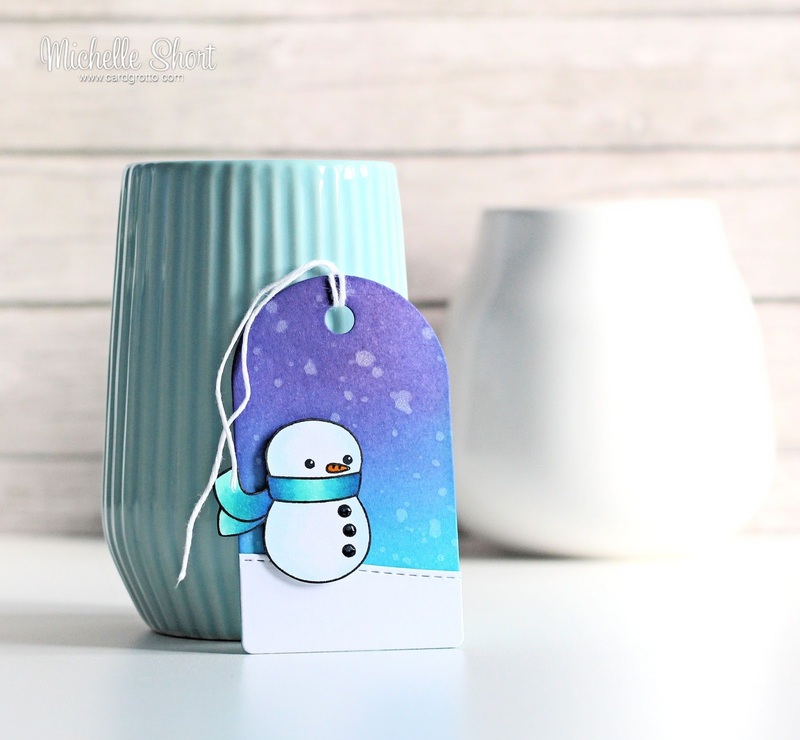 From the first I die cut a snow bank using the ME Landscape Border die. On the other, I made a background for my snowman to stand in front of. For this, I blended over Distress Inks in Tumbled Glass, Peacock Feathers, Blueprint Sketch and Seedless Preserves. I then splattered a little shimmer spray over the top and set aside to dry. The snowman, from the CB One More Sleep stamp set, was stamped with black ink on to more white cardstock. He was then coloured in using Copic Markers, adding clear Wink of Stella to his scarf and Glossy Accents to his nose and buttons. He was then fussy cut out. The snowbank was adhered to the background tag piece and then the snowman on top with foam tape. To finish off, I added some twine to the tag. COPIC MARKERS: Snowman Body: B000, B0000. Buttons: C9, C7. Nose: YR14. Scarf: B18, B16, BG13, BG11. Thank you so much for visiting me. I hope you will visit Tracey's Blog to have a look at all the other tags, there is also a chance to win some prizes too! Have a great day! 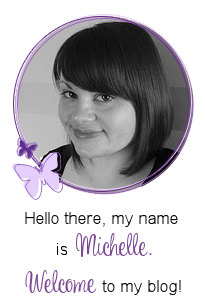 Michelle, your tag is totally adorable! 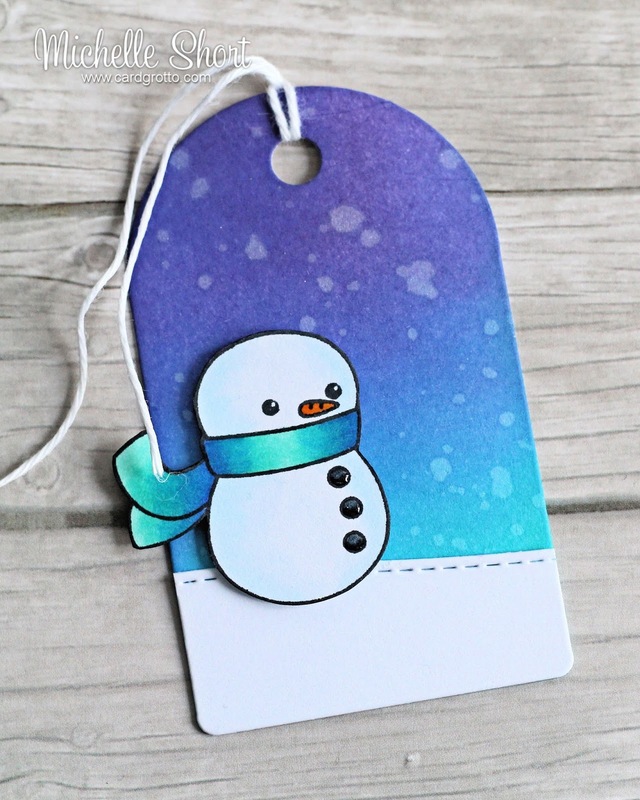 Love the colors you used and the sweet design of the tag. Hope you are feeling better each day! Ah, Michelle. This is so sweet. I love the snowman and the scene you've created. How cute this will look on a package??? Love it! Michelle this wee tag is just lovely!! I love the colours you used for the sky! adorable tag. love the background. will have to make a note of the colours you've used! LOVE your inky background, stitched snow bank and ADORABLE snowman!!! Thanks for your beautiful tag... it was the inspiration for my tag for Tracey's event! I love the blended colors on your tag! It inspired me to create a similar background for mine. Thank you!